Home » Reviews • Tech » Changelly Review: Is it a Safe Exchange? This Changelly review will explain how this service works, and why it can be a great option to exchange different digital currencies directly from their wallets. Imagine you have a digital currency on your desktop wallet, and you want to exchange it to another cryptocurrency and send it to another exchange or wallet. This normally involves a few steps, but with Changelly it becomes much easier, and faster. In many cases you will also pay less fees. Let’s learn how this service works, in our Changelly review below. Changelly was founded in 2013 as a service to exchange different coins from exchanges and wallets. The service was created by the MinerGate team, one of the most popular cryptocurrencies mining pools (check our MinerGate review here). The company has a pretty unique service in the world of cryptocurrencies, as most exchanges prefer to keep all transactions inside their platforms. Changelly is also pretty popular with MinerGate users to withdraw and transfer their coins. The main difference between Changelly and other services is that you can exchange coins without depositing your cryptocurrencies to Changelly. You can send your coins from any type of wallet or exchange using Changelly. The service automatically converts the coins sent to a different digital currency, sending these funds to any wallet you choose. 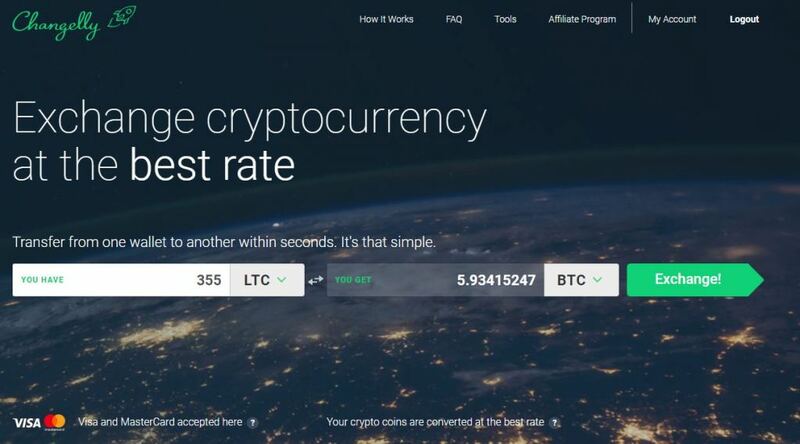 Since Changelly works differently from most services selling Bitcoins and Alt coins, it may sound a little confusing at the first moment. However, transactions in Changelly are pretty easy and fast. In most cases, you have a number of coins, and you want to exchange it directly to an equivalent value in another digital currency. However, your exchange might not have that digital currency available, or it might not have that direct currency pair. This usually generates a number transactions and a more fees to get your value transferred from one coin to another. Changelly solves this problem by allowing the user to directly transfer value of one coin to another, directly from wallet to wallet, in just one transaction with pretty low fees. With less transactions one can save time and money, especially if you have currencies that are not so popular as Bitcoin or Ethereum. Changelly has one of the longest list of digital currencies, allowing direct transfers from any of the coins listed on their website. Opening an account on Changelly is almost instantaneous. Everything you need is an email address. You do not need any wallet, or install any software to exchange coins using Changelly. The first step to transfer coins on Changelly is choosing the amount and the coin you want to change and the coin you want to receive. Once Changelly calculates the amount you will receive, I recommend double checking if the rates are good. In most cases, Changelly rates are pretty competitive, and often better than many exchanges. After you choose the coins you want to exchange, Changelly will display the amount you will receive in the selected coin, as seen above. Click Exchange to start the process. Secondly, you will be redirected into a screen that will describe the amount to be exchanged (approximately), and how long the transaction will take. After you copy and paste the wallet address in this step, you can click on the next button. You will once again have a confirmation screen, with the amounts and currencies. Then, Changelly will inform you in which wallet you should make the deposit. 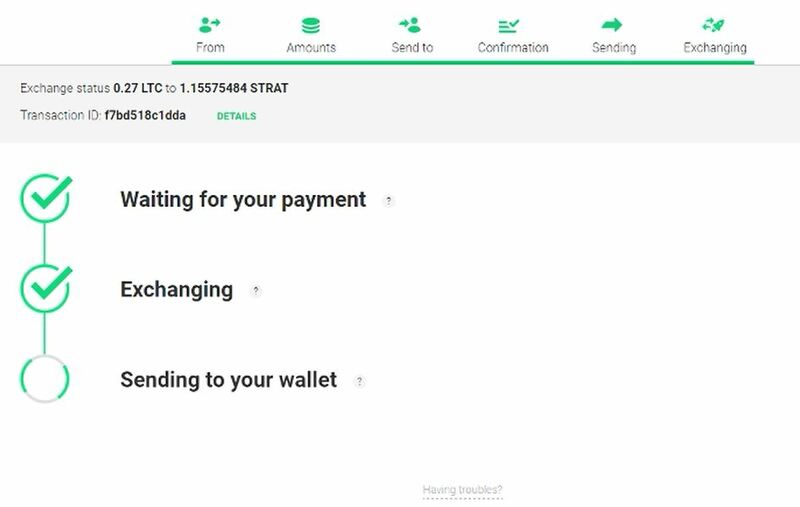 After you make your deposit and the transactions are confirmed, Changelly sends the digital currency to the wallet you desire. 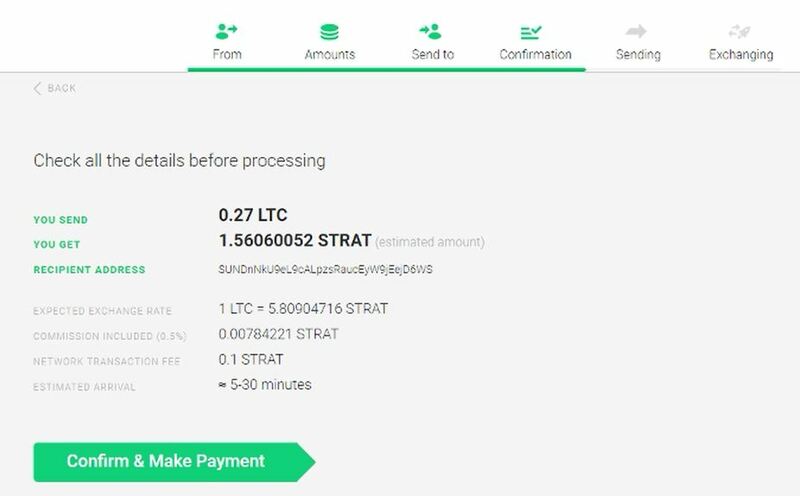 Finally, Changelly confirms when it sends the coin to the wallet. One of the advantages of Changelly is that you do not need to send any document to trade digital currencies. Even if you want to buy Bitcoin or other currencies with Changelly, you will not need to verify your identify. For digital currency exchanges the service is entirely anonymous. However, if you trade USD to coins, you will be required to provide a code that Changelly will send to you on your credit card bill. The system is explained in details on the website. Support is one of the most important things to consider when using any service to purchase or exchange coins. Changelly supports works with a ticket system. That is the most common system used in most exchanges, however it would be better to have a live chat to answer quick questions about your transactions or how the system works. Changelly is definitely very safe and a very reliable service. 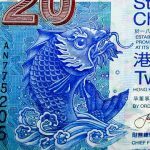 I have used Changelly to exchange several currencies and all of them where fast. My only recommendation is to use currencies with a fast network to avoid long waiting times for your transactions. My Changelly review is overall positive and I recommend this service. Here are some alternatives to Changelly, especially for those investing in multiple crypto currencies. YoBit is one of the biggest exchanges for those willing to trade alt coins. It has one of the biggest selection of digital currenies among the main exchanges. Click here to open an account at Livecoin. Did you like our Changelly review? Have you used their services? Please leave your thoughts below in the comments section. MinerGate Review: Mining Pool – Legit or Scam? This MinerGate review is ideal for any on willing to start on bitcoin mining.